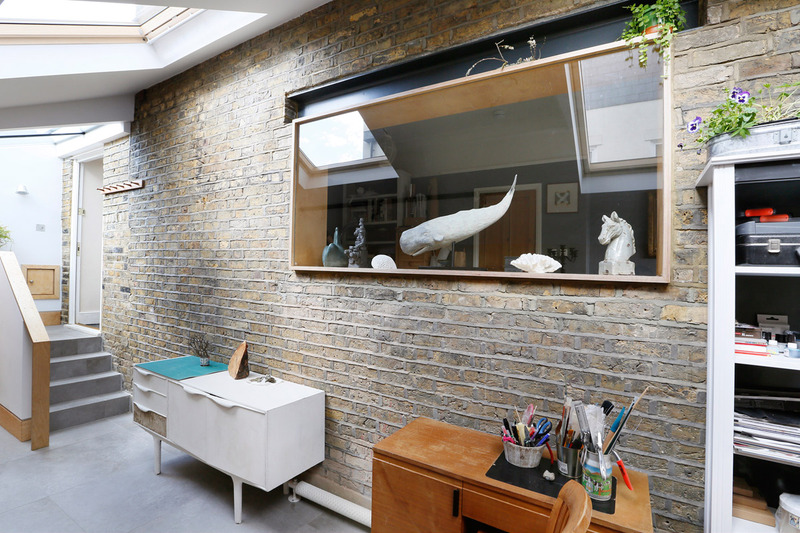 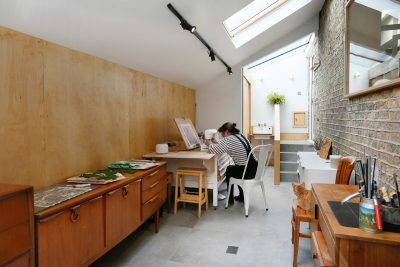 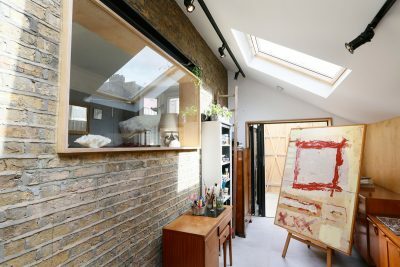 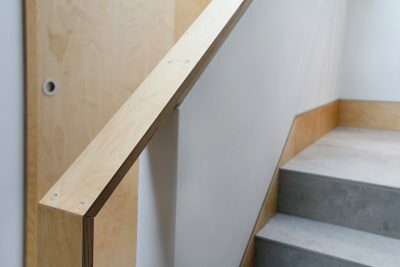 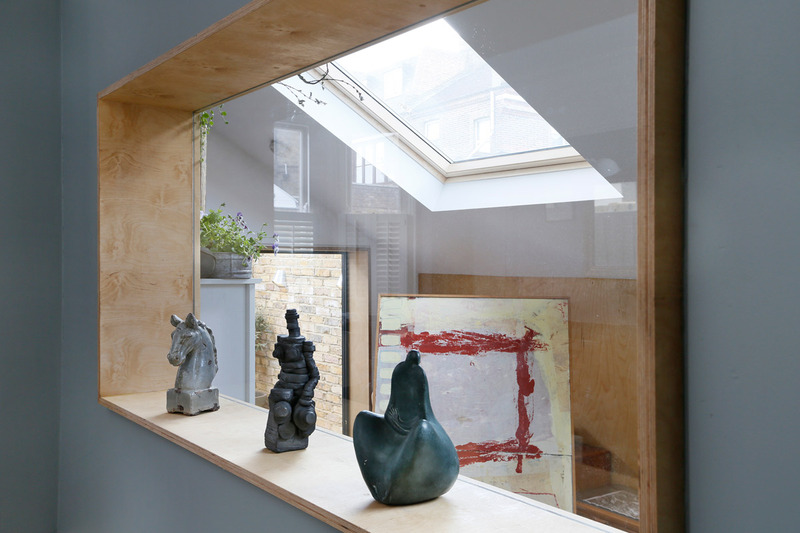 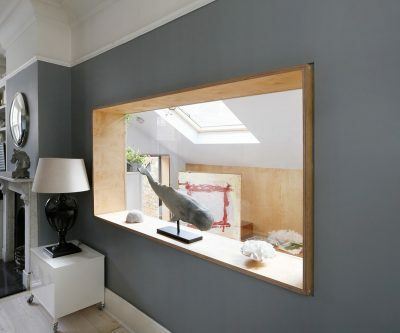 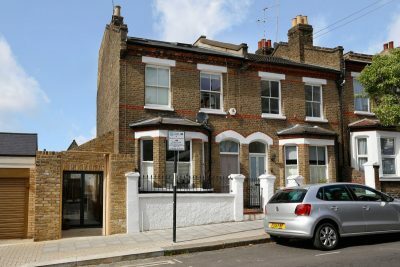 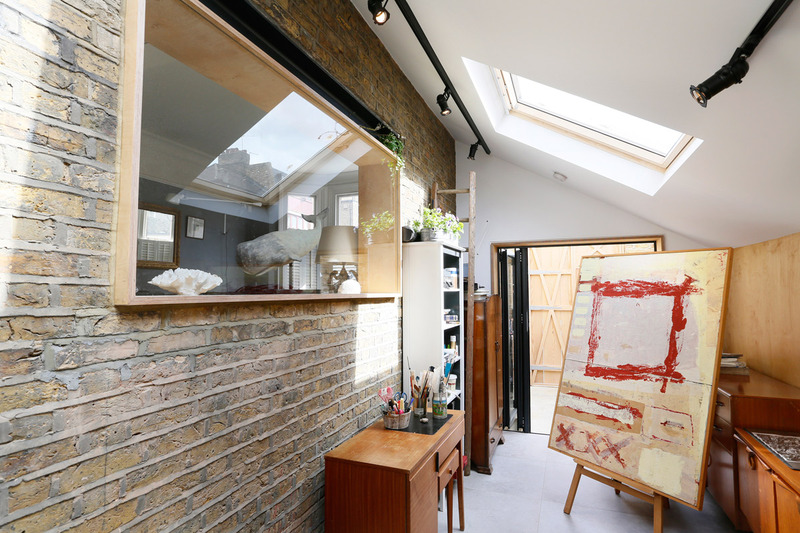 This long side extension to an end of terrace house in Wandsworth, functions as an artist’s studio and teaching space. 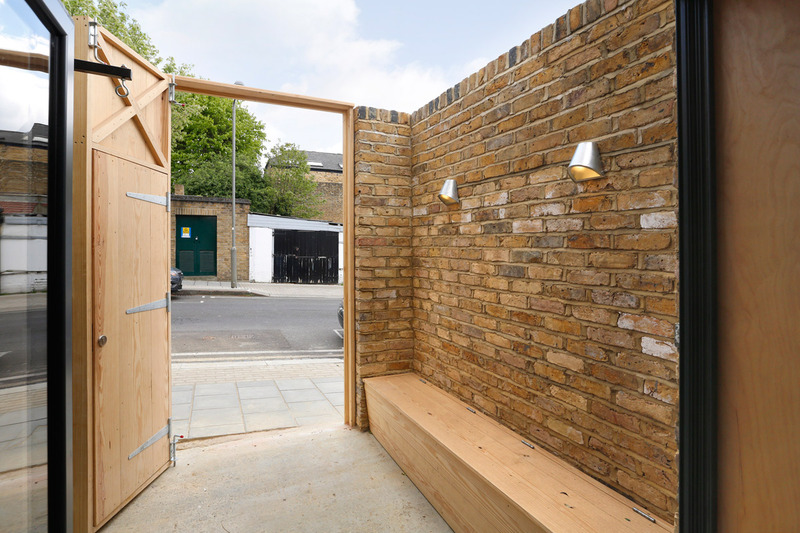 It features a small courtyard at the front enclosed behind large bi-folding timber gates. 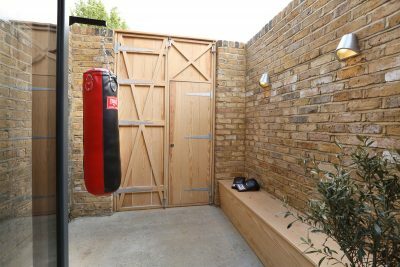 This creates a small hidden outdoor space, whilst still allowing a large amount of natural light in through the folding doors. 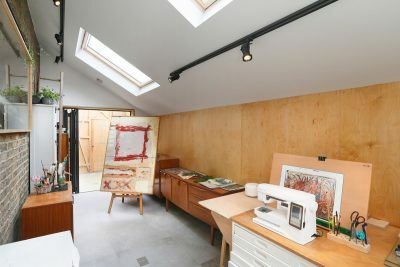 Additional light is brought in through the roof, through two large offset rooflights and the extension connects to the main house through a large internal window. 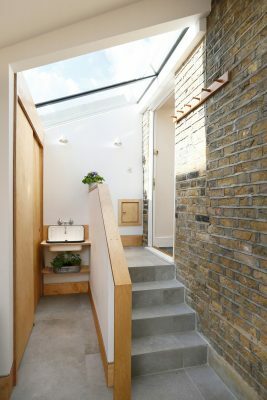 A simple material palette of brick, softwood, ply, and floor tiles was used.